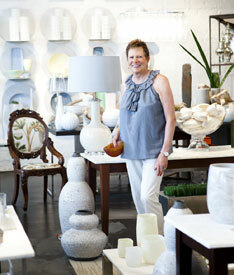 Shopping at Napa Home is even more of a treat since its stylish makeover in July 2010. In honor of the shop’s fifth birthday, owners Randolph Phillips and Julia Elam took their smart, tailored inventory of treasures and revamped the space, which now includes design services, modeled vignettes, and sections for men and for gardening. (Don’t worry. The beautiful vessels, exquisite tabletop, home fragrance, and epicurean delights are still here.) “It’s kind of like having a bunch of mini-stores in one,” Phillips says. Shop for anyone on your list: your best friend, your picky mother-in-law, a bride-to-be, or, um, yourself.